Today’s guest is T.A. 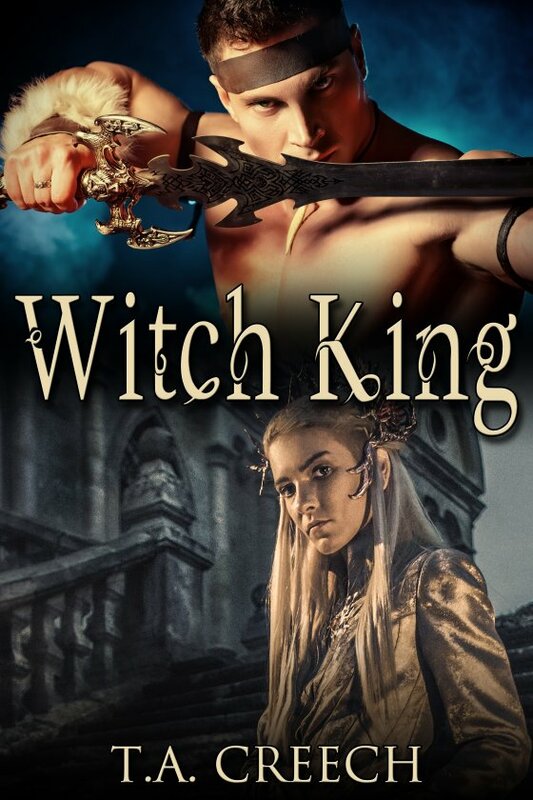 Creech, whose e-book Witch King was just published by JMS Books! I have to say, I loved writing Witch King. Listening to the radio on my way home after taking my son to kindergarten, I heard “King and Lionheart” for the first time and was inspired. Finally got home and started making notes to add to my plot wall, turned on a disaster movie (because they help me plot), and started drawing a map of this completely unknown world. Then Solna popped into my head. Worrywart king and a man who generally rolled with life despite it all, he had to have a match. I found one in Vius. The small spite of an elf was perfect, prudish, and passionate in just the right measure. It was really a treat to work on these two. Happily, even though this book ends, it won’t be the last time I work with these characters. The next book in the series has them making an appearance, so do later ones, including a story where Solna and Vius are constantly underfoot during the tale. But first, maybe I’ll tell the tale of just what shenanigans Lasra and his company were up to in the middle of a cursed forest. There may be dragons in that one. Literally. I’m a happily mated house-parent to a rambunctious small child and equally rambunctious military spouse. I began this adventure called writing with fan fiction and have never looked back. I enjoy delving into the stranger ideas and twisting old tropes into something unexpected. Find T.A. online at the links below!